The Land Rover LR3 is a wonderful SUV. It’s also cheap to run, provided you’re comparing it to a fleet of midsized warships, or possibly Denmark. But for all its flaws – and there are many – the LR3 has one interesting bit of minutiae that may slightly brighten your day when you see one on the road: its fender vent. Note that I didn’t say “vents.” That’s because the LR3 has only one fender vent, located on its passenger side. Interestingly, the vent is actually functional: when you’re fording a stream of up to some ungodly amount of inches known only to the person who wrote the press guide, it allows the engine to breathe. In fact, this is where LR3 off-roaders (both of them) stick their snorkels. It actually gets slightly more interesting: the LR4 – which replaced the LR3 in the same way the 2012 Civic replaced the 2011 model – has vents on both sides. Presumably, these are also functional, though no one knows because the LR4 hasn’t depreciated to the point where people are off-roading them. Give it another 30 days. I’m not precisely sure what purpose this knowledge serves, except possibly that – if you were ever confused – you can now ascertain precisely which side of a Land Rover LR3 you’re looking at. 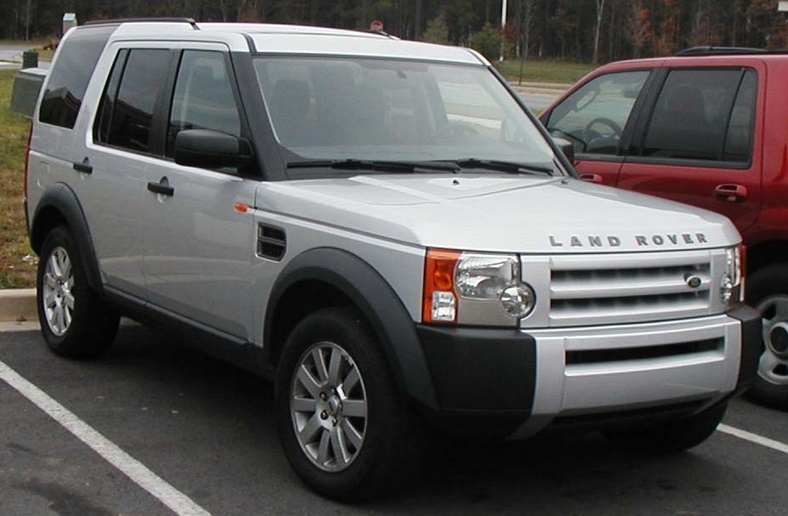 Also, if you’re on the driver’s side, you can distinguish between an LR3 and an LR4. And how else can you tell apart an LR4? Well, that’s probably a subject for a later minutiae column. It’s getting harder and harder to distinguish different cars. For example: I’m quite sure the Hyundai Azera, Acura RLX, Toyota Avalon and Lexus ES are all the exact same vehicle, just with different badging. Perhaps the Asian manufacturers have banded together to give GM a taste of its own medicine. There are, however, a few unique touches that set apart today’s crop of new cars. 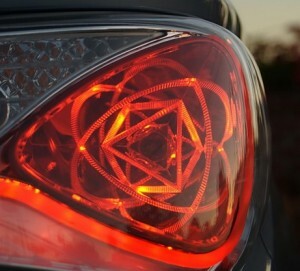 And the very best is Hyundai’s “atomic” tail lights. The atomic tail lights are only included on the Sonata Hybrid, which should probably the subject of its own minutiae column for the insane number of tiny details it has over the regular Sonata. But of all the details, these tail lights are the coolest. Let’s start with the obvious: these things look like atoms. Just like you learned about in high school, with the electrons orbiting the nucleus, and of course, a large degree of other highly complicated things whose names I have completely forgotten thanks to automotive knowledge. 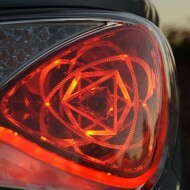 I believe this is, therefore, the coolest tail light in the history of the car industry. It’s far cooler than the tail light in my Range Rover, which – like all Land Rover tail lights – is now full of condensation. And let’s be clear: condensation isn’t anywhere near as cool as atoms. The only problem with the Sonata Hybrid’s tail light is that they’re rather difficult to see. When the lights are off or the brake lights are on, they’re very faint. You can really only see them when the tail lights alone are illuminated – and you have to be looking at them from the right angle. This very much makes them automotive minutiae. But also a totally justifiable reason for purchasing a Sonata Hybrid. 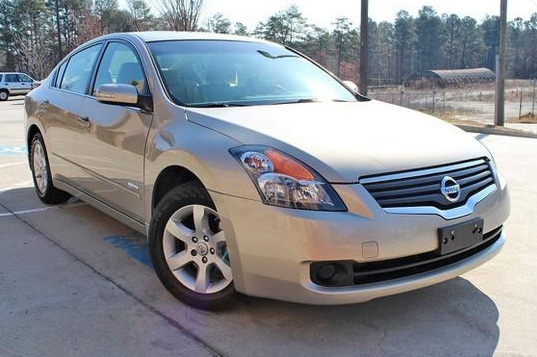 Ladies and gentlemen, meet the Nissan Altima Hybrid. This alone would probably be fodder for an “It Exists” segment all by itself. Yes, it does exist. 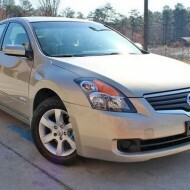 Nissan sold it from 2007 to 2011 as an answer to the Toyota Camry Hybrid. Except it wasn’t a very good answer, since it was created entirely using technology licensed from Toyota. Anyway, the Altima Hybrid got 33 mpg city and 33 mpg highway, which is actually better than the Camry Hybrid from the same period. 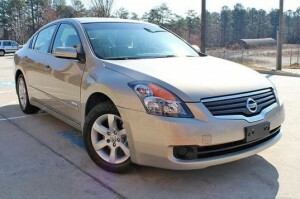 I know what you’re thinking: I want to buy an Altima Hybrid! Or possibly: get to the point, dammit, I’m sick of reading about front-wheel drive Japanese cars! The point is that many of you can’t buy an Altima Hybrid, even if you wanted to, because Nissan only offered it in 10 states. They were California, Connecticut, Maine, Maryland, Massachusetts, Oregon, Rhode Island and Vermont. These states share two things: one is that they all follow California’s strict emissions laws, which require that cars emit only vapors that calm baby seals. The other thing these states share is that they all require two license plates. You can probably guess where I’m going with this. The result of Nissan’s decision to sell the Altima Hybrid in California emissions states and only in California emissions states is that every single Altima Hybrid has a front license plate bracket. (Except, of course, for the press cars, which is why it’s so damn hard to find a photo of one.) This, folks, is minutiae at its very most minute. But did you expect anything else from me? Of course, Land Rover knows the wealthy like subtle displays of wealth because Land Rover is well-versed in the psychology of rich people. They must be, since they still have strong brand loyalty no matter how many times customer cars come in on a flatbed. 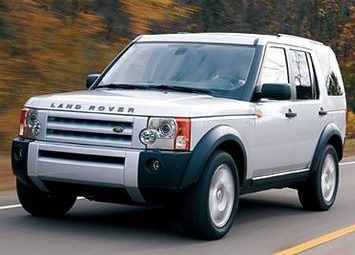 The differences between the 2006-2009 Range Rover and its more powerful Range Rover Supercharged twin are great examples of the slight distinctions adored by the wealthy. On the outside, there are four major ways to tell them apart. One is the front grille. 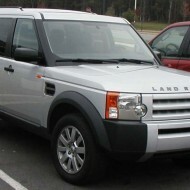 While the regular 2006-2009 Range Rover (which made do with a paltry 305 horsepower) retained Land Rover’s horizontal slats, the Supercharged added the chain-link fence look. Apparently, this is the Land Rover equivalent to an OBX sticker. Number two: side grilles. Each 2006-2009 Range Rover has a rather tall vertical grille right behind the front wheels that’s almost certainly non-functional. In Supercharged models, it retains the chain-link look of the front grille – apparently a vast step up from the naturally-aspirated Rover’s vertical slats. Of course, the Range Rover Supercharged also wore distinct wheels. But those are easy to change, not unlike slapping an Aspen sticker on your car when your mountain home is actually in Vail. The best way to tell the 2006-2009 Supercharged apart from its rawther pedestrian naturally-aspirated stablemate is the taillights. You see, wheels can be swapped. So can grilles. But nearly all the posers forget the taillights. All 2006-2009 Range Rovers had two circular taillights stacked on top of one another. But while the non-supercharged models had one clear light above one red light, only the Range Rover Supercharged had two clear lights. At night, when the lights are illuminated, you can still tell them apart: the lower light in Supercharged models shows as pink, while it’s red in the base model. Now that you’ve learned the differences, you may forget them. Owners of base models certainly hope you will. Ah, the 2003-2007 Honda Accord sedan. Originally reliable transportation for upscale suburbanites, it’s now taking on “teenage first car” status before it inevitably descends into its final resting place as the darling of buy-here-pay-here used car lots. But today, it’s the subject of some minutiae near and dear to PlaysWithCars: tail lights. You see, despite being offered for just five years, the Accord used three different tail light designs. And so, for those of you who are as pedantic and detail-obsessed as me, here they are. 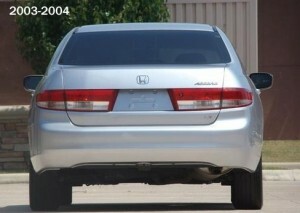 The 2003 and 2004 models used a narrow horizontal strip of tail light. The top half was red, and the bottom half – which housed the reverse lights and turn signals – was clear. There’s nothing exceptionally interesting about this, except that they were a bit … odd looking. 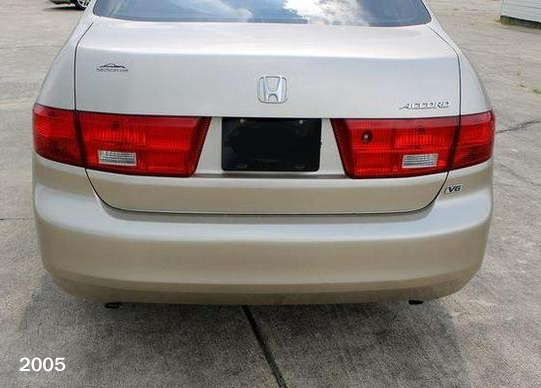 The 2005 Accord sedan shared its taillight design with the ’03-’04 models with one exception: the lower half of the lights was red. This included the turn signals, which previously lit up amber. 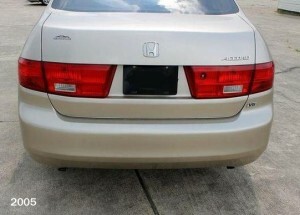 So, you can wow your passengers when you see all-red tail lights on an Accord, since it can only be a 2005 model. From experience, they won’t be very impressed. 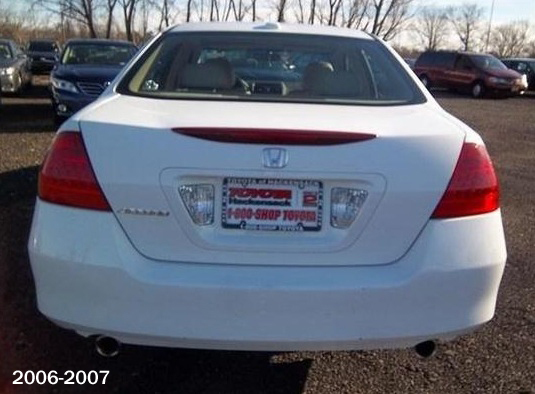 Apparently receptive to my “odd looking” remark above, Honda completely changed the rear of its seventh-generation Accord in 2006. The old tail lights were gone, replaced instead by oddly-shaped triangles and a trunk that no longer housed a bunch of reflectors. And thus, the minutiae of the 2003-2007 Honda Accord. Admit it: with this in mind, your commute home just got slightly more interesting.